House Number Wall Marker - - with stunning brushed aluminum numbers. Wall mount. Made in USA. 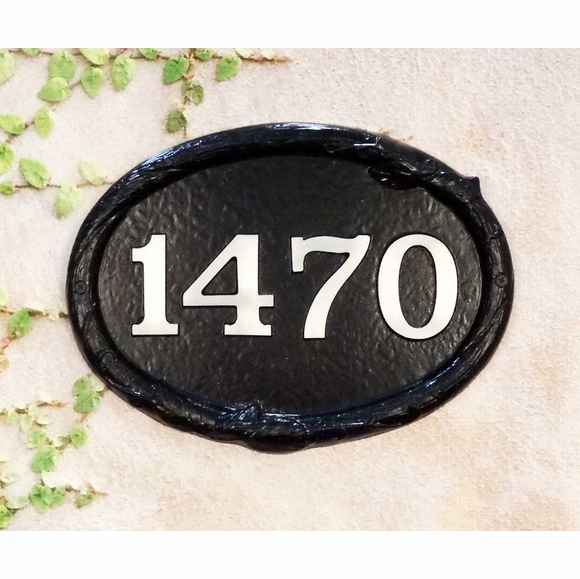 Personalized street number oval is made of cast aluminum and features permanently molded brushed aluminum numbers. Slightly raised self border includes small floral accents.